History: 70 year old male with hip pain. 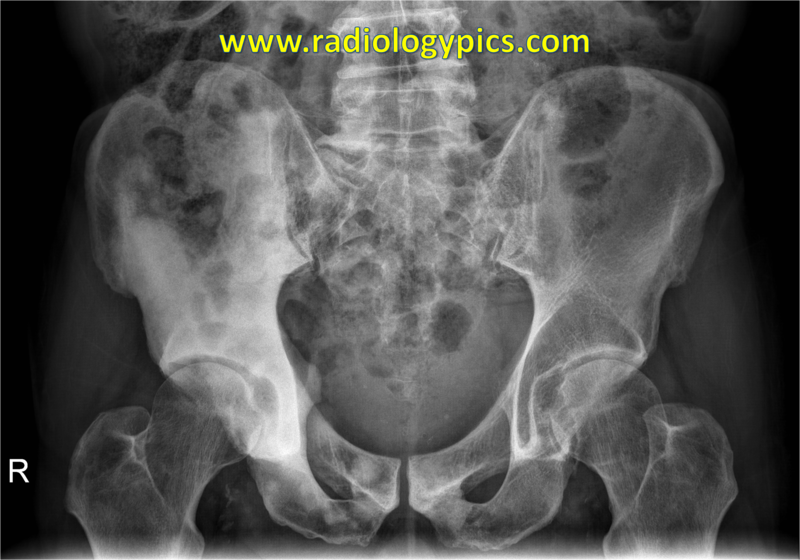 Frontal radiograph of the pelvis. What are the findings? What is your diagnosis in this 70 year old male with hip pain? Comment and share below.